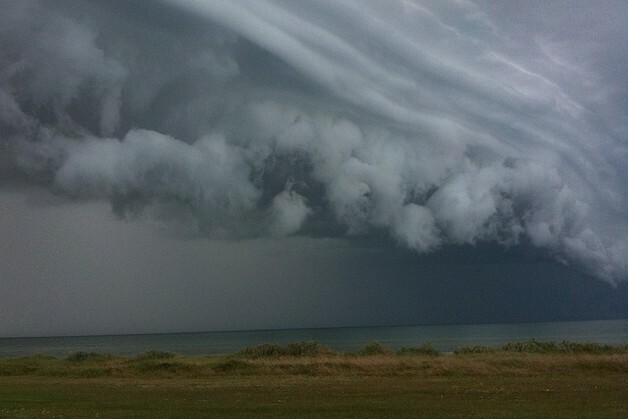 It’s that time of year when the weather gets crazy in the U.S., with drought, flash floods, tornadoes and hurricanes. And as many consumers are discovering, there’s a new tool hitting mobile devices that lets you know when a weather emergency is in your area. In the coming months you will soon start receiving unsolicited text messages when storms hit or other natural disasters are anticipated. Here’s what you need to know when the alerts roll in. 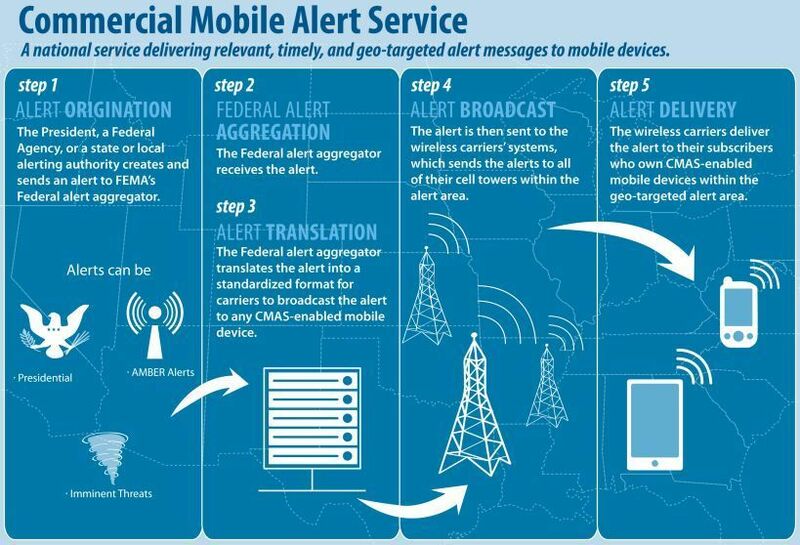 In April a law went into effect enabling Wireless Emergency Alerts on capable cell phones and on June 28 the National Weather Service started pushing out alerts. The system allows authorized government agencies to send messages directly to the towers of the major U.S. carriers who then transmit those messages to capable devices. Even if the user blocks SMS messages they’ll get these alerts — but they won’t pay for them. When will I get these? Carriers have started rolling out the service across their footprints, so not everyone is yet covered. AT&T currently only covers three cities and doesn’t have a time frame when it will cover its entire footprint, and Verizon supports the service on devices that can handle the alerts across its footprint. Sprint has also started sending the alerts. But just like geographic coverage is still incomplete with some carriers, only a few devices currently support the alerts as well. Thirteen devices support the service on Verizon’s network. Right now, AT&T has three Android handsets supporting the alerts, while Sprint says all of Sprint smartphones that have been released since the summer of 2011 are capable of receiving wireless emergency alerts – except for the iPhone and Nexus S. However, over at the Sprint forums users do seem to be getting garbled alerts. But the biggest test for carriers and customers may be this fall once Apple releases iOS 6. The upcoming OS will support the alerts on iPhone 3GS, iPhone 4, Phone 4S and the most recent iPads. Almost a third of the 100 million Americans toting a smartphone has an iPhone, according to comScore, so it’s fair to say that Apple’s support of the system will alert tens of millions of consumers to the program. To be clear, the oldest iPhone users and those who choose not to update won’t get alerts. The mobile emergency alert system in action. Here’s what you can expect as a user, based on my husband’s experience. At some point you will suddenly (and without notice) start getting alerts. The alert comes in sounding like the old Emergency Alert System broadcasts although you can change a setting in the Alerts menu to turn it to vibrate only. If the phone is set to vibrate, however, and you haven’t changed your weather alerts settings the default is still to make that buzzing noise. The notice takes up the entire screen and alerts you to a flash flood or whatever event that the agency has issued. They are later stored as texts on the phone, although they don’t use the carriers’ SMS systems. During a period of storms, such as the ones we in Austin, Texas experienced last week, these alerts can be frequent. My husband started getting them on July 10 and received five of them in eight days — the most irritating was a flash flood warning at 12:40 a.m. one evening after we were asleep. A Verizon spokeswoman said she believes the carrier has sent out roughly 100 alerts or so since implementing the system, but for an exact count I’d have to check with the National Oceanic Atmospheric Administration, FEMA and other agencies authorized to send the alerts. The alerts are based on your geographic location (or your phone’s geographic location) so while you’re on the road you’ll at least know if a tornado is about to hit your hotel. You can opt out of AMBER and the weather alerts, but not Presidential Alerts, which encompass news of national authority or concern. So when these alerts start showing up on your phone, you’ll now have a clue about what they are and how you can tone down the irritating noise that accompanies them. Oh, and you may want to make sure you’ve got an umbrella too. Received 3 today. 2 during an important meeting. So irritating. Very loud. They were flash flood warnings. It wasn’t even raining. This service should be elective. Have to agree with Trent. Various States and Territories within Australia are currently either using full production systems or trialing systems which give this capability. We have tested this on a couple of different platforms however we are currently trailing this in a system called NOGGIN which we are using for our Emergency Management Platforms. But regardless of which system or platform you use, the information has been very well received the involvement of the community has been very supportive. Good luck with it and I am keen to see how it goes. I haven’t found any information if the alert is sent via Cellular Broadcast which is supported by most GSM phones even feature phones. I know that the iPhone doesn’t support this. It’s not a text message and I know that many countries already do this. After the devastating ‘Black Saturday’ forest fires that killed 173 people in 2009, the Australian state of Victoria introduced a similar scheme. It works, and is highly effective. You wonder why it has taken so long to implement this in other countries? I don’t want to receive texts, which is why I blocked them. I guess I should be able to delete messaging from my rooted android phone if I need to though. Since you didn’t mention T-mobile, maybe I don’t need to worry about it just yet. I received one just yesterday about a flash flood warning in my area. Very nice.